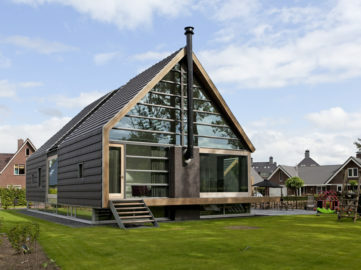 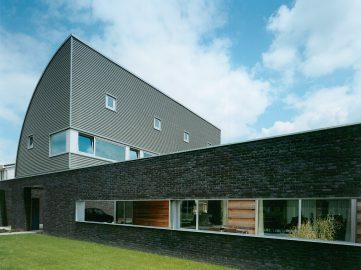 This house by B+O Architecten stands out in the new expansion area of Hoogeveen, because of the ultimate combination of urban living and lots of room. 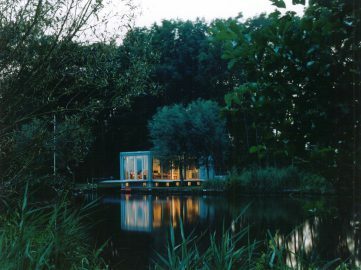 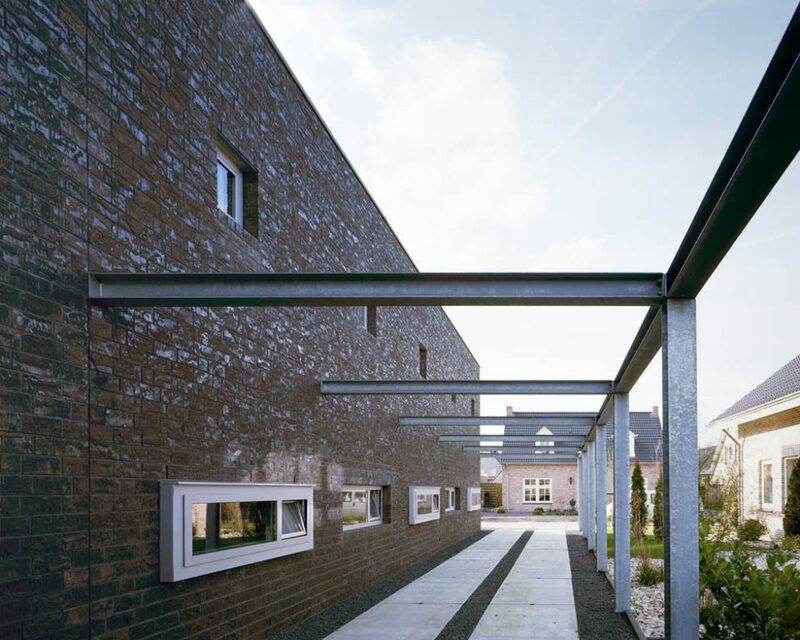 An enclosed garden allows the residents to retreat on their own property. 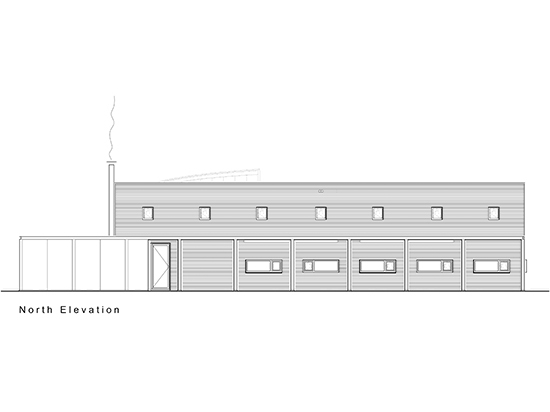 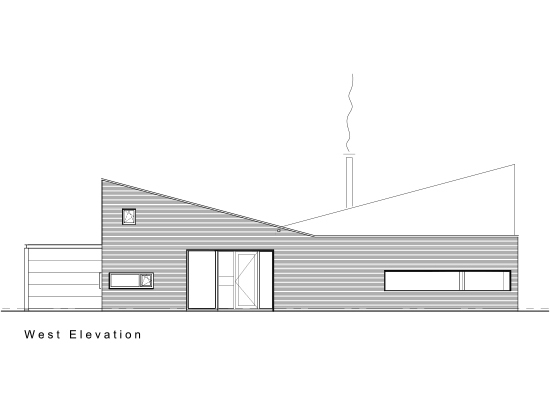 The car is parked away from the home and the long driveway ensures sufficient distance to direct neighbours. 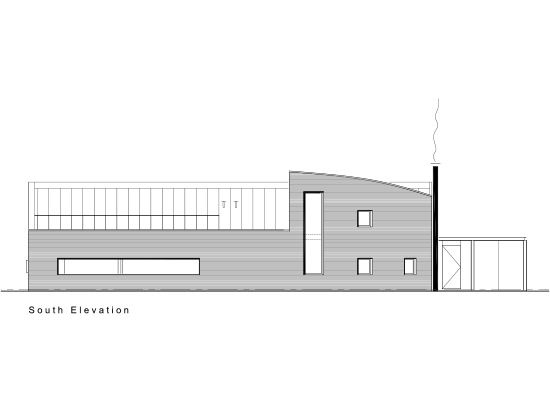 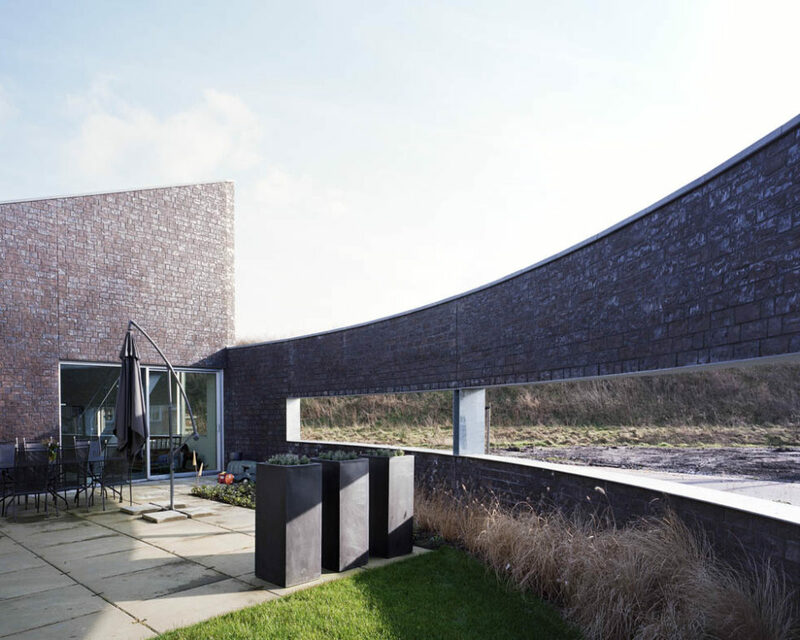 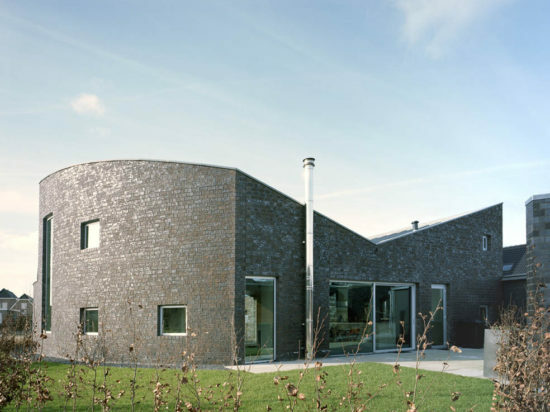 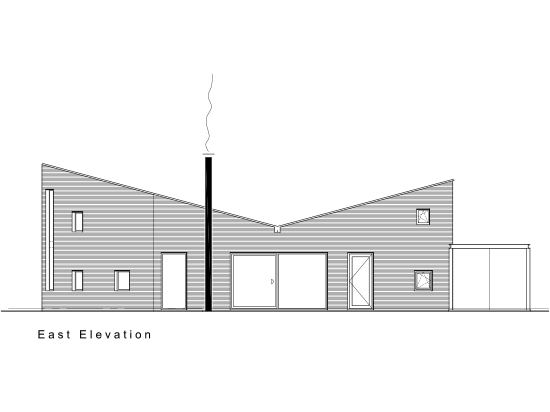 The house’s round shape does not only react to its location in the neighbourhood, as the last one on the street and against a substantial dike; at the same time, this shape gives the house a large degree of privacy. 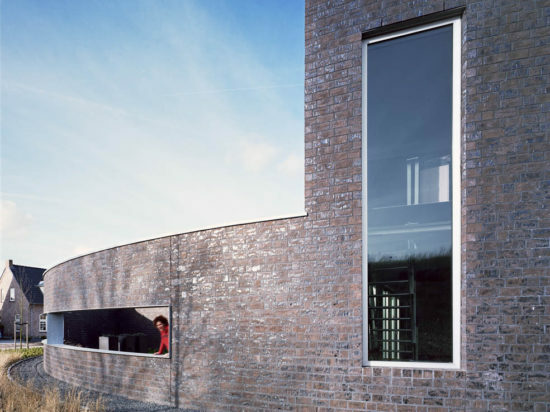 The entrance of the house is parallel to a glass corridor in the house. This corridor can be decorated as a gallery, which gives the visitor a curated look into the house while walking to the front door. 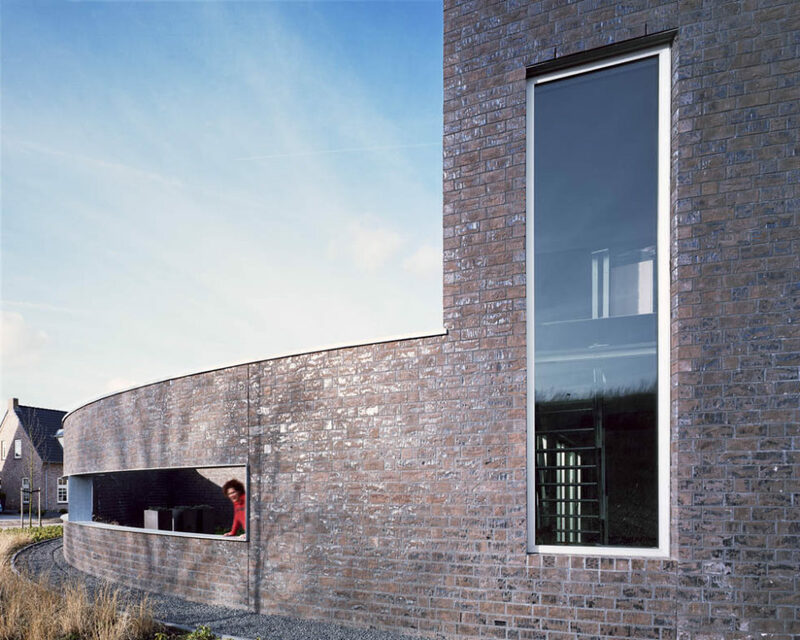 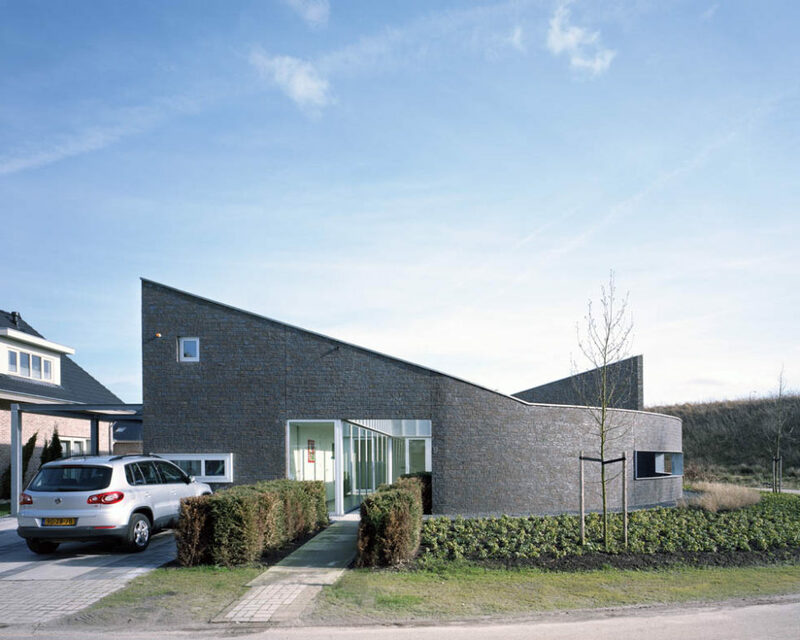 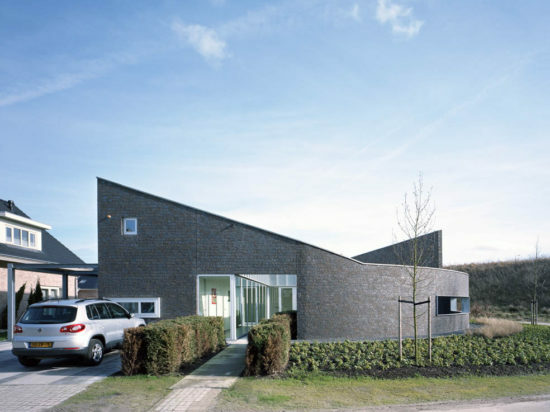 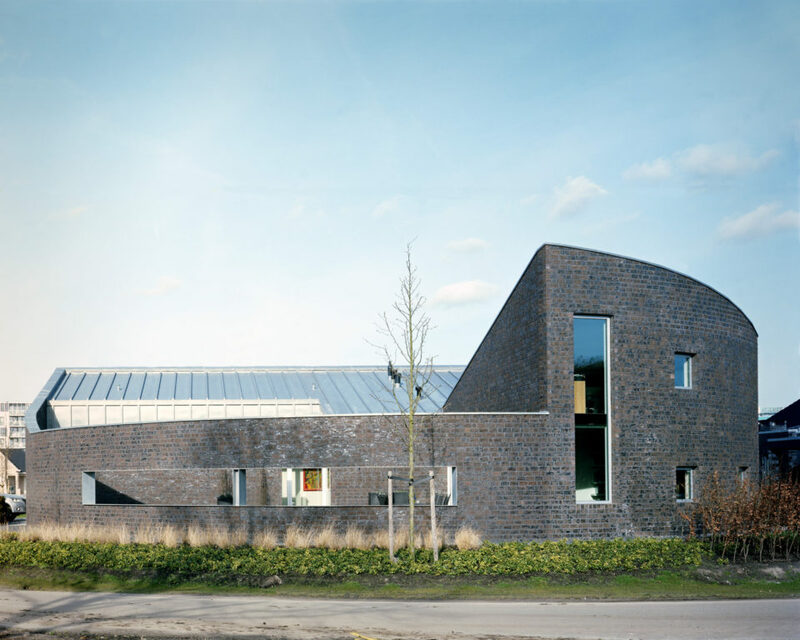 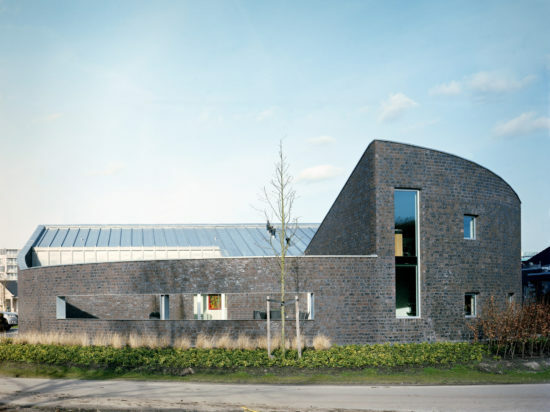 By using dark grey bricks and the choice for a zinc roof, the design stands out from the other houses in the Erflanden new residential neighbourhood in Hoogeveen.